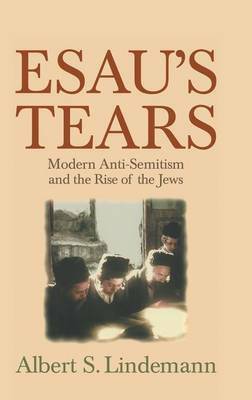 Esau's Tears explores the remarkable and revealing variety of modern anti-Semitism, from its emergence in the 1870s in a racial-political form to the eve of the Nazi takeover, in the major countries of Europe and in the United States. Previous histories have generally been more concerned with description than analysis, and most of the interpretations in those histories have been lacking in balance. The evidence presented in this volume suggests that anti-Semitism in these years was more ambiguous than usually presented, less pervasive and central to the lives of both Jews and non-Jews, and by no means clearly pointed to a rising hatred of Jews everywhere, even less to the likelihood of mass murder. Similarly, Jew-hatred was not as mysterious or incomprehensible as often presented; its strength in some countries and weakness in others may be related to the fluctuating, and sometimes quite different, perceptions in those countries of the meaning of the rise of the Jews in the late nineteenth and early twentieth centuries.